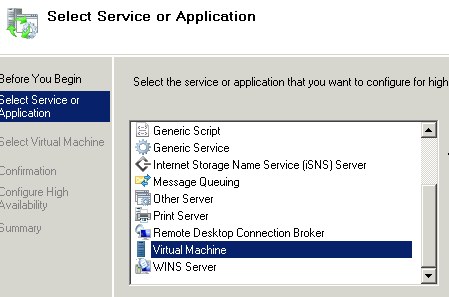 You can move Hyper-V virtual machines in a Windows failover cluster or on a stand-alone Hyper-V host. Moving virtual machines is a fairly easy process, without having to do too much work at the file level, it’s mostly an export and import process. In this example, I will cover how to move virtual machines in a Hyper-V failover cluster environment, which is very similar to a stand-alone Hyper-V host. This will cover off moving the .VHD and .XML configuration files together. Export the Virtual Machine to the top level folder of where you want the new Virtual Machine to go (for example c:\CSV). 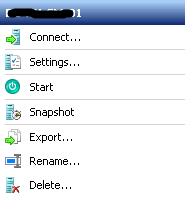 Select the virtual machine, choose the option to Export. The export process will take a little while, it has to copy the virtual hard drive. Delete the Virtual Machine in Hyper-V manager; this deletes the previous Virtual Machine’s .XML Configuration file, leaving behind an empty folder shell. 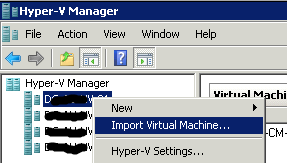 Using Hyper-V Manager, right click one of the Hosts and Import the Virtual Machine. Ignore this step if you have a stand-alone Hyper-V host. Configure the imported Virtual Machine for High Availability, right click Services & Applications and Configure a Service or Application. Power on the imported virtual machine to confirm it works. Delete the old VHD file. i am a rice exporter very nice web site i have share your information on social media …its very informative site.i have book mark it.great job. The two key ways to add content are news articles and blog entries. the way to get fair, or may be how you can impress a girlfriend. In fact onpage optimization isn’t compulsory to stand in Google rankings.